The FBI may have “incidentally” collected surveillance on former White House chief strategist Steve Bannon when it was monitoring former Trump campaign adviser Carter Page. Bannon and Page spoke in January 2017 about the Steele dossier, a collection of memos alleging collusion between President Donald Trump’s campaign and Russia. Depending on what Bannon and Page discussed, the conversation could be of interest to investigators probing Russia’s election interference. The FBI may have “incidentally collected” surveillance on former White House chief strategist Steve Bannon while monitoring the communications of Carter Page, a former adviser to President Donald Trump’s campaign, Politico reported. Page told the House Intelligence Committee in November that he had a conversation with Bannon in January 2017, shortly before Trump’s inauguration, during which Bannon asked him to cancel a scheduled appearance on MSNBC. Page initially said that was the main topic of conversation, but he later said they had discussed the Steele dossier, the document published in full by BuzzFeed News on January 10, 2017. Page told the committee that prior to receiving the phone call from Bannon, he had gotten a letter from Jones Day, the law firm that represents the Trump campaign, saying he should not “give the wrong impression” about being part of the administration and of the Trump campaign. “But Dr. Page, [Bannon] didn’t want you talking. Isn’t that right?” Schiff asked. The conversation could be of interest to investigators looking into Russia’s interference in the 2016 election and whether members of the Trump campaign colluded with Moscow to tilt the race in his favour. 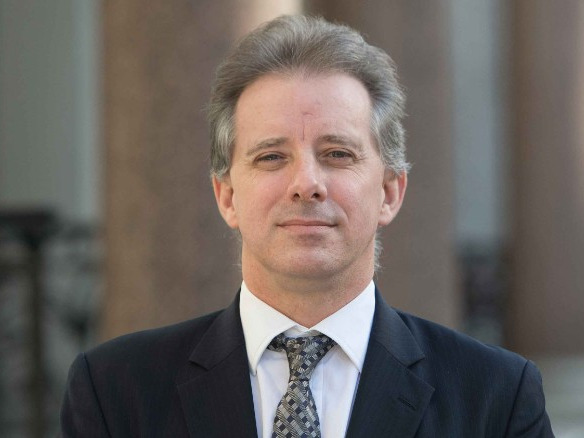 The Steele dossier – an explosive collection of memos alleging multiple improper ties between the Trump campaign and Moscow – has taken center stage in recent weeks, as Republicans ramp up their attacks on its author, former British spy Christopher Steele. Steele was a longtime FBI informant, but the bureau cut him off as a source in October 2016, after it learned of his interactions with members of the press. But the FBI, as well as the Senate Intelligence Committee, continued using the document as a “roadmap” in their respective Russia investigations. Experts told Business Insider earlier this week that the US intelligence community’s reliance on the dossier even after cutting off contact with its source was an indication of how seriously they took the intelligence he provided. The FBI has already independently corroborated some of the dossier’s findings.